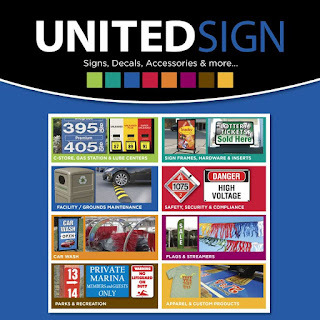 At United Sign, we know that there is a lot of things you need at the last minute, and you don't always have the time to wait around or have it special printed. We offer all kinds of personalized signs for sure, but for simple things like safety and compliance we have a vast array of things on hand, ready to ship and be at your door in no time at all. Need doormats? We have them! How bout a "slippery when wet" sign? Yup! Safety instructions? On the spot! We really stock a wide variety of essentials and we hope you have a second to take a look! Click on that logo right below and you'll be at the one site that can really help you out, in a hurry!